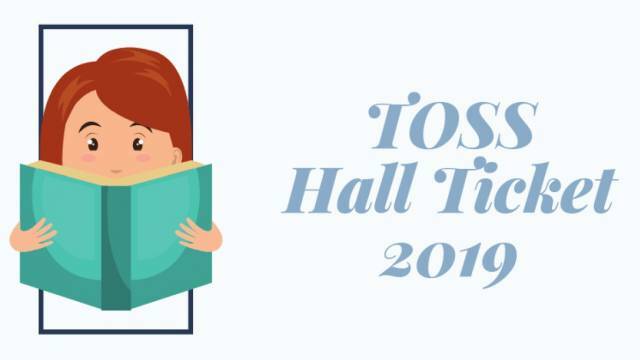 The Telangana Open School Society (TOSS) has issued the Admit Card for TOSS SSC and Intermediate Exam 2019. The admit card is available on the official website of the Telangana Open School. The candidates can download their admit card by visiting the official website, telanganaopenschool.org. The SSC and Intermediate (TOSS) exam 2019 will be conducted from April 24 to May 06, 2019. The candidates can download their admit card for TOSS SSC and Intermediate Exam 2019 without any hurdles by following the simple steps mentioned below. ♦ Now visit the news and media section and click on "SSC & INTER (TOSS) EXAMS Hall tickets April / May 2019 " link. ♦ Admit card will display on the screen, download your TOSS Exam 2019 admit card and take a print out to appear in the exam hall.